M - Systems Inc. has been designing and building LED signs since 2005. We have hundreds of installations that are working flawlessly for years. Maintenance has been reduced and relamping of signs has been eliminated. Simple designs provide the most reliable signs. Power supply's are kept in easy to access junction boxes or provided separately. 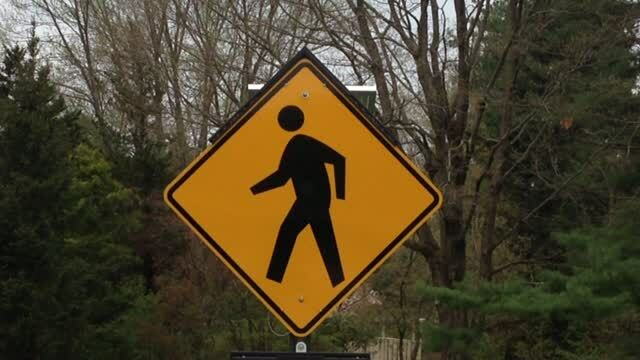 We accommodate many custom requests as well as provide standard MUTCD spec signs. All signs are for outdoor use and have been tested in blowing rain conditions, and NEMA TS2 specifications. Select from BLANKOUT, FRAMELITE, or ENHANCED sign styles. Quick Mount Over The Top Warning Beacon. Secures with top sign bolt. 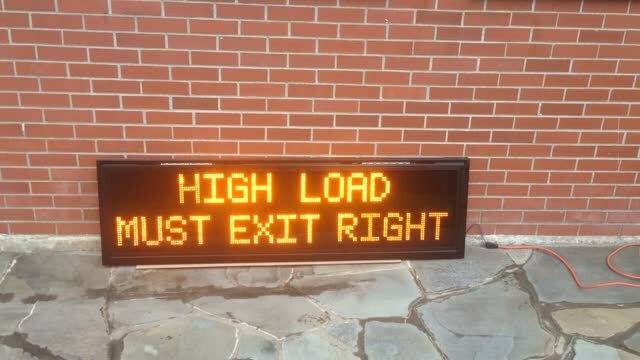 Adds LED RRFB flash pattern to any 30" or 36" warning sign. Includes Solar Panel, Mount, Enclosure and Electronics for Time Clock or Ped Pushbutton operation. New Top Mount Linear Beacon. Quickly mounts over the top of a standard sign. Directs a drivers attention directly to the sign. Select from Alternating Flash or latest MUTCD Rapid Flash. Can be ordered for Solar or AC power. NEW Over height Truck Blankout Sign with Strobing White LED warning lights embedded in top of frame. Frame is constructed of rigid 1.5" extruded aluminum. Only 1.75" deep. This custom sign is being installed in the Salt Lake City area along with Trigg Industries ( www.triggindustries.com ) over height detector. It is normally off until an over height truck is detected then the Sign turns on and the Strobes begin firing to warn the driver. Remote FrameLite Warning Sign Installation. PLEASE LOOK THRU OUR WEBSITE FOR THE MANY SIGN DESIGNS WE OFFER. IF YOU HAVE A SPECIAL REQUEST JUST EMAIL OR CALL.